Growing spiritually together, spreading love, justice, and joy! 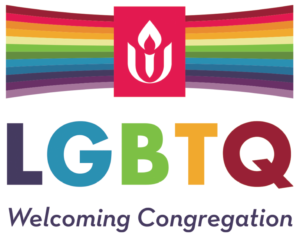 Wildflower Church is a deliberately inclusive, open-minded religious community in the Unitarian Universalist tradition, growing spiritually together, spreading love, justice, and joy! We create our community by covenanting one to another, using our Covenant for Beloved Community. We meet in South Austin, at our shared campus. Our religious education program serves babies and children through 18 years. We provide many different groups and courses for adults, occuring throughout the week. Teams do much of the work of the church with our mission as their guide. No task is too small to contribute meaningfully to our community. Join us this Sunday at 11:30am in the Sanctuary at our shared campus. Extra parking is available across Oltorf at Travis High School. The spirit in me welcomes the spirit in you, in all our wholeness and imperfection. We celebrate our connections and our differences. We actively seek to create equity as we build relationships with one another. We care for one another and for ourselves. We listen to others with respect and open hearts, intending to understand. We speak to others with respect and kindness, intending to be understood. We make every effort to settle differences directly and openly. This beloved community is our spiritual home: we all share our gifts to build it. We commit to be in covenant and to be called back into covenant. Rev. Michael Dowd is a bestselling eco-theologian, sustainability activist, and pro-science ‘evangelist’, delivers a dynamic multimedia program that sheds light on competing and often contradictory claims about our future.